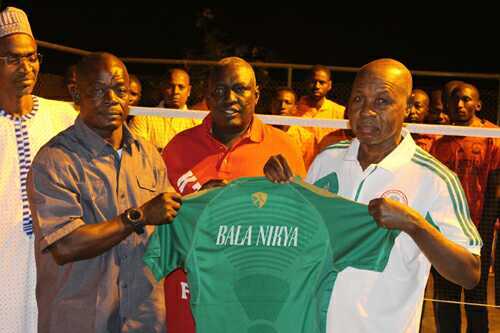 Bala Nikyu during his unveiling ceremony last year. 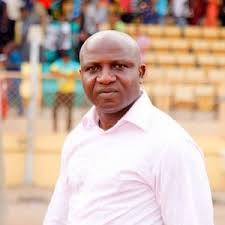 In what has turned out to be shock departures, the duo of Bala Nikyu and Nduka Ugbade exited their jobs at newly promoted sides, Katsina United and Remo Stars, after five games this term. 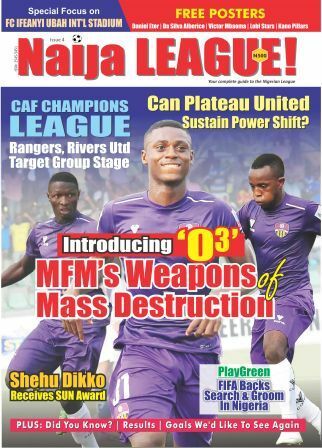 Both sides are new in the Nigeria Professional Football League and are also handling clubs in the top flight for the first time. Excitingly, Nikyu and Ugbade are not amongst the bottom four. Bala Nikyu (Katsina United) Appointed in November 2016, naijaleague.com.ng gathered that Nikyu’s unceremonious exit was attributed to ‘personal reasons’. Nikyu’s arrival at the club was celebrated and the club faithfuls are still shocked at his sudden exit. With the absence of the former coach, the club’s hierarchy have elevated former Nigerian International, Bauldwin Bazuaye, from his previous role as assistant to head coach.